Living in a house that is in a constant state of renovation, with a 10 month old baby, a 4 month old kitten, 2 dogs and 2 adults; moments of pure and utter peace, as you can imagine, are a very rare treat. Yesterday however I was treated! Not only was the baby napping but all three pets AND the Hubby were all napping at the same time! The house was so quiet…wait, no….the cat was purring….and the hubby was snoring….the house was so peaceful. Yeah that’s it, peaceful! I sat on the couch with Joshua sleeping on my lap/arm and the kitten also asleep on my lap purring away. It was beautiful…But yet, I couldn’t enjoy it. The whole time I was trying to figure out ways I could move to put the baby down somewhere to sleep while I try to get some stuff done around the house. This precious moment of pure and utter peace was ruined by my obsession with using nap time to my advantage rather than just enjoying it. But I ran the risk of waking the baby if I moved and then having to deal with a cranky baby! It’s a struggle I’m sure many moms face. You do so much throughout the day, but yet feel like you’ve done absolutely nothing! Why? Because most of what we do isn’t chores or house hold duties. It’s the stuff nobody wants to note as an accomplishment because there’s no physical evidence that you did it. (You know besides that fact that your baby is still breathing). Damage control! 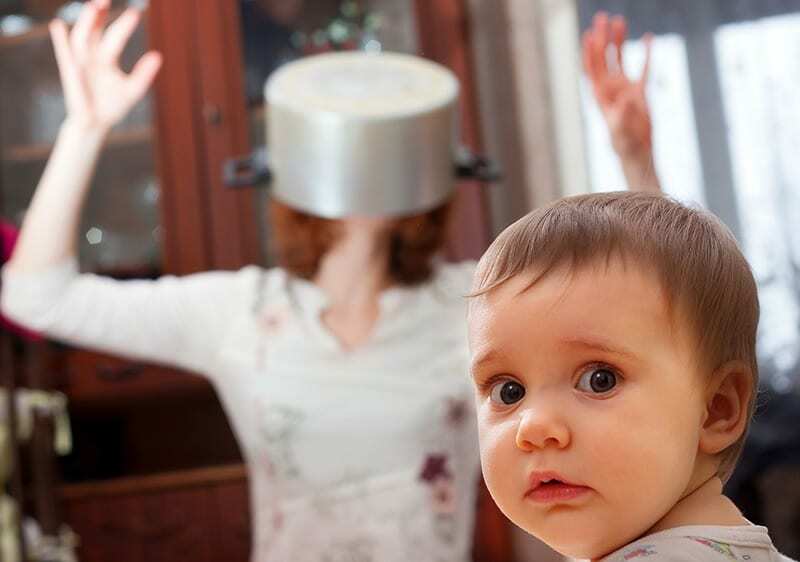 We spend the great majority of our days TRYING to do something as simple as dishes, but every couple of minutes (If that) we have to stop because our babies are CONSTANTLY TRYING TO KILL THEMSELVES! Seriously! You could wrap an entire room in bubble wrap and call it baby proofed but it won’t be! Guaranteed your baby will have hid a shiv in his diaper just for such an occasion! Even if you do manage to find a space that is completely safe for the baby to play in, that place will be the last place your baby wants to be. Then you have to listen to them screaming and crying until you’re ready to burst into tears yourself and can’t take it anymore. You could have sworn it was going on for hours but by the looks of what you got done in that time, it was probably more like 5 minutes. So you take baby out of the safe zone because you need a break from the cries that break your heart and make your ears bleed. You hold them for a while, comfort them, play with them, feed them, make them feel all around better, but you still have more dishes to do so you say to yourself “I’ll just put him with his toys on the floor”. The minute you think he’s happy with his toys and you go to try and do the rest of those darn dishes, he’s on a mission! You just opened that dishwasher and he is gonna claim that thing as his new fort! Grimey knives and all! So you take him away from the dishwasher, put him down with his toy, and turn around…but he’s already racing to get back to the dishwasher, laughing a laugh you can only assume is cute for the sole purpose of tricking you into having a sense of false security, because it is only reserved for moments of the naughtiest intentions!!!! 2. you get frustrated and put him back into the safe zone, where he also starts crying. Sometimes you’ll think you got lucky, you put him down with his toys and he seems real content. You get a bit done and you think “gosh he’s being so quiet, God I love him! What a sweet boy” so your motherly heart swells and you wanna sneak a peek at your content little baby. But his back is to you…the back is always to you…because they know…they know that if you see what they have, you’ll take it away!…they’re sneaky! WHEN THE HECK DID THEY LEARN TO BE SNEAKY! After a while though you just know to be suspicious of the quiet. So you take away the “danger toy” (ie: phone, electrical cord of some kind, a disgusting shoe, a small leaf, a “baby proofing” outlet blocker, or in one horrible case…dog vomit…) and go back to what you were doing. Finally! The dishes are done! maybe we can start on that laundr- GRRrrrRrRRRRRrrrr…. “was… was that my stomach?” You look at the time. You then have to make and eat dinner. After cleaning up the food that mostly ended up on the baby’s hands, face, and high chair, you are rightly pooped. 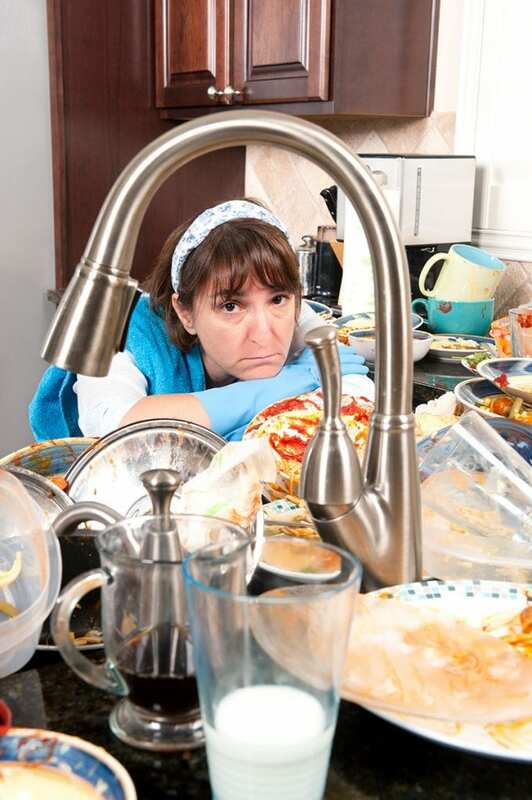 “Dishes.” you say completely and utterly defeated as you look at all the dirtied dishes from the dinner you just ate. Monique Walker is a 27 year old novice photographer/writer. She just moved to NB from AB this past June after buying the camp her Grammy and Grampie built in the Upper Miramichi area. Visit her Facebook page “City Mom, Country Life”.